Breakfast can be just as savory as any other meal of the day. Turn your standard egg omelette into a delectable entree by adding a few gourmet ingredients to the mix. Thinly slice or mince 1-2 garlic cloves. On medium heat, place a skillet on your stove and add 1 tsp of canola oil. Allow the oil to heat for less than 1 minute. Add garlic cloves. Allow to saute until slightly golden. Add kale to the skillet. Pour red wine vinegar and balsamic vinaigrette into the skillet. Mix with a spoon (preferably wooden). Next, add water to the skillet. Season to your taste with pink salt, pepper and garlic powder. I recommend only a few pinches of salt because the vinegar will add to the flavor. Mix gently. Also be light on the pepper and garlic powder as you don’t want the taste to be overpowering and you want the flavor of the kale. Place a lid over the skillet. Allow to simmer for a few minutes, You can mix as it simmers. Usually when cooking kale you don’t want it to be too soggy. The consistency should have a light crunch to it but not undercooked to where it is leafy but not overcooked to where it is chewy. 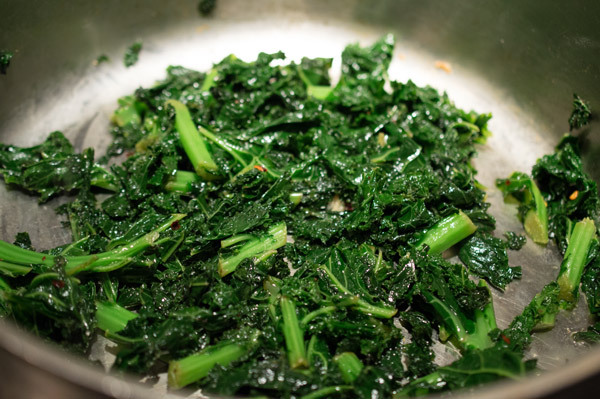 The same goes for this dish similar to the the consistency of a broccoli rabe. Trust me, it sounds more complicated than it is. It’s simmering, so you can do a taste test throughout the process. Note: You will be adding the kale to the eggs in a bit so it a little less time in the simmering phase than if you were eating it as is. When your kale is ready. Take the lid off and place to the side. Because it was already on a very low heat and the lid is off, it won’t continue to cook for much longer on the skillet. Place another skillet on the stove at medium heat. Add a tbsp of canola oil. Allow to heat briefly. 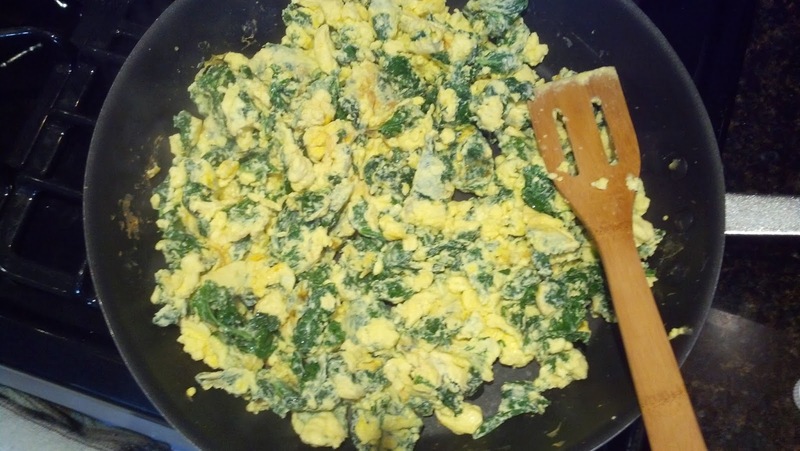 Add eggs to the skillet and mix to scramble them with a wooden spoon. While they are still runny, add your kale to the skillet. Season a little more with spices but very lightly as you already seasoned your kale. Use the wooden spoon to mix the ingredients together. 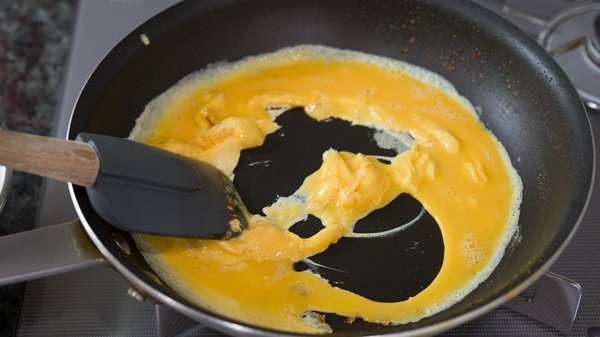 Just before your eggs are ready to come off the skillet. 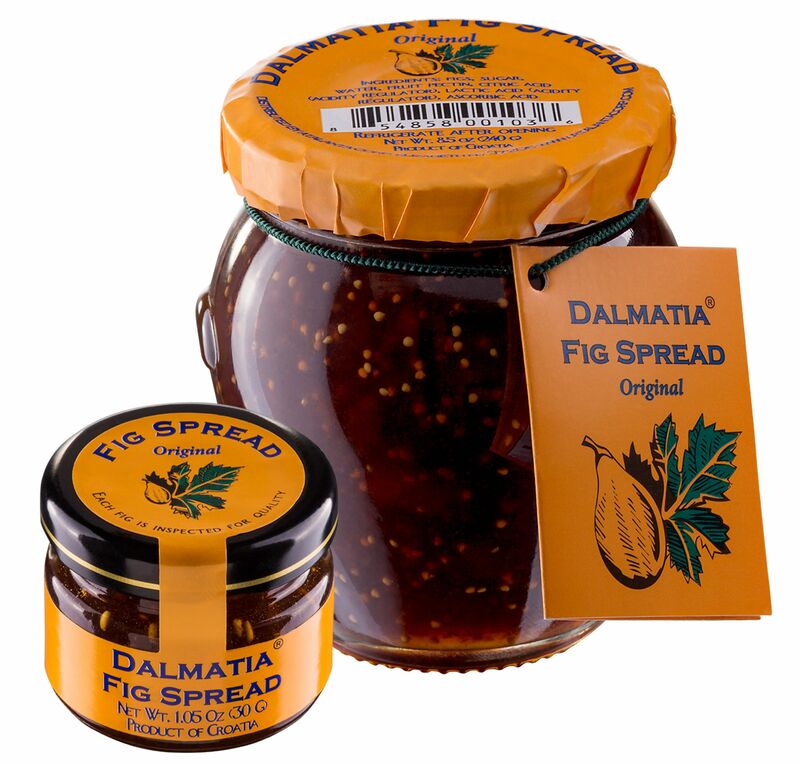 Add fig spread and mix. Then add goat cheese. 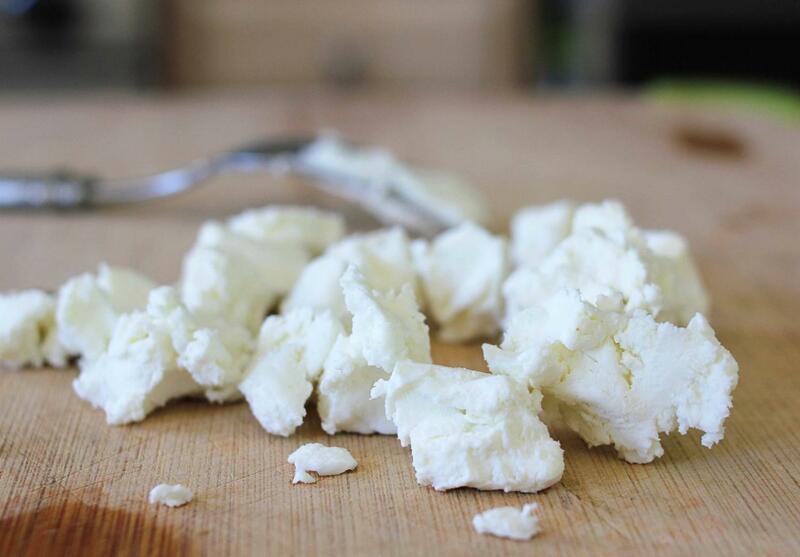 Goat cheese is soft and sticky. You don’t have to use the full 1/2 cup. Add 1 – 2 tbsps then work your way from there. You still have to do this quickly as cheese melts fast but you will get the idea once you begin. You can choose to thoroughly mix the goat cheese in with the ingredients or you can slightly mix leaving a nice layer on the top. The goat cheese will melt quickly, this is why it’s best to put on last – immediately before removing from the skillet to serve!